B2. 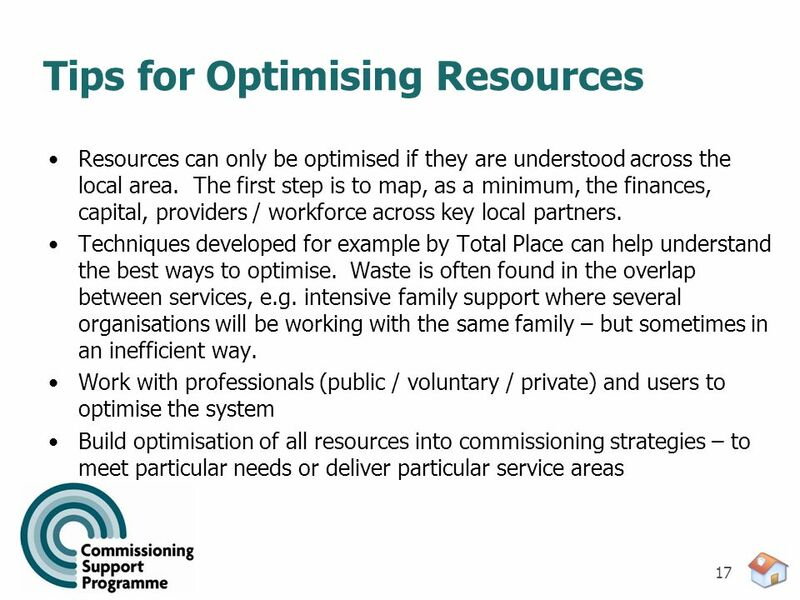 Optimising Resources A-Z of Commissioning October 2010. 5 5 What Are The Resources? 21 21 Family Information Service (FIS) Each local area has set up a Family Information Service built around a database of providers, and internet / phone / leaflet access to the information. 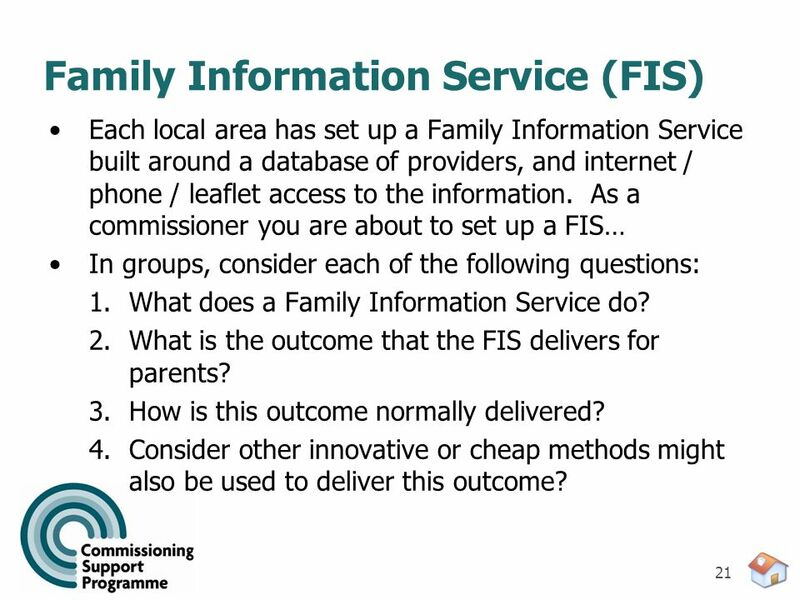 As a commissioner you are about to set up a FIS… In groups, consider each of the following questions: 1.What does a Family Information Service do? 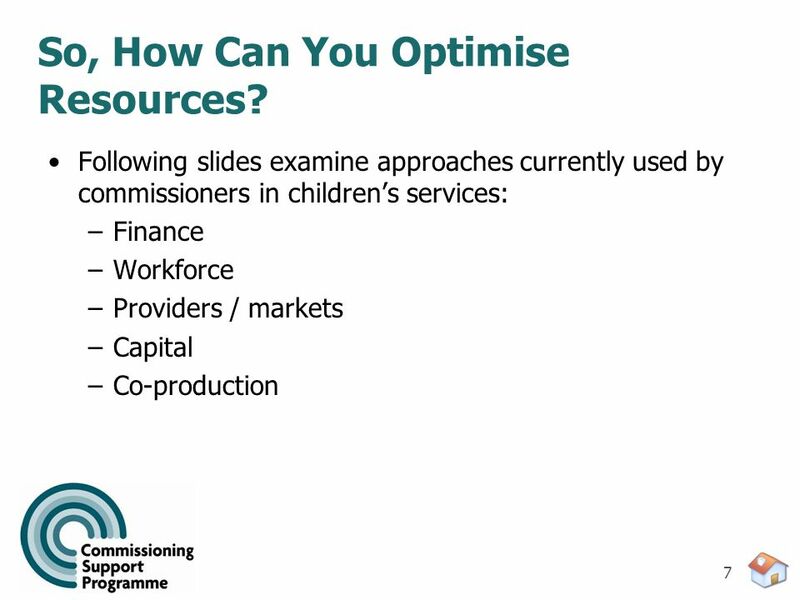 2.What is the outcome that the FIS delivers for parents? 3.How is this outcome normally delivered? 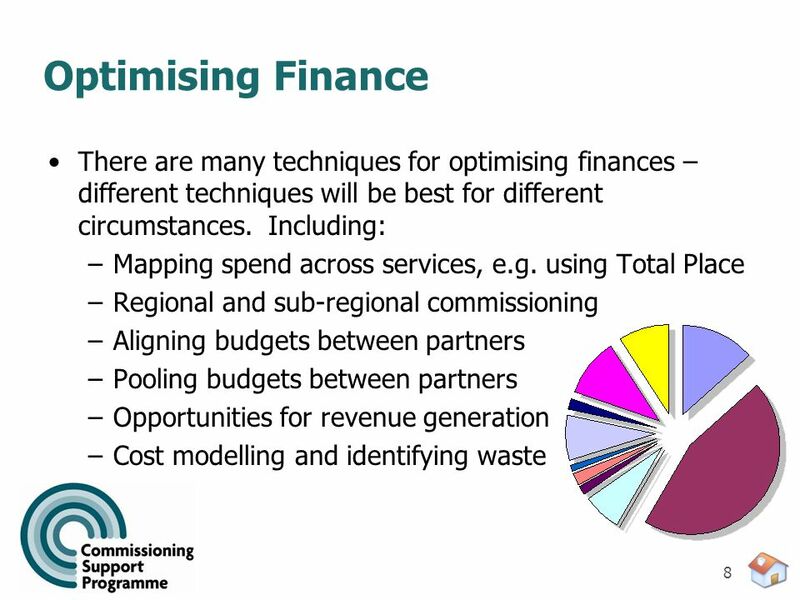 4.Consider other innovative or cheap methods might also be used to deliver this outcome? Download ppt "B2. 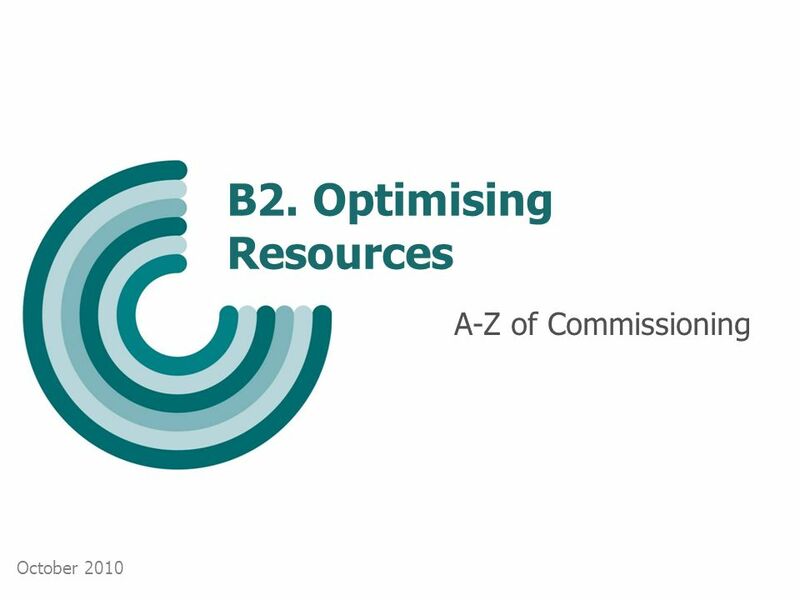 Optimising Resources A-Z of Commissioning October 2010." 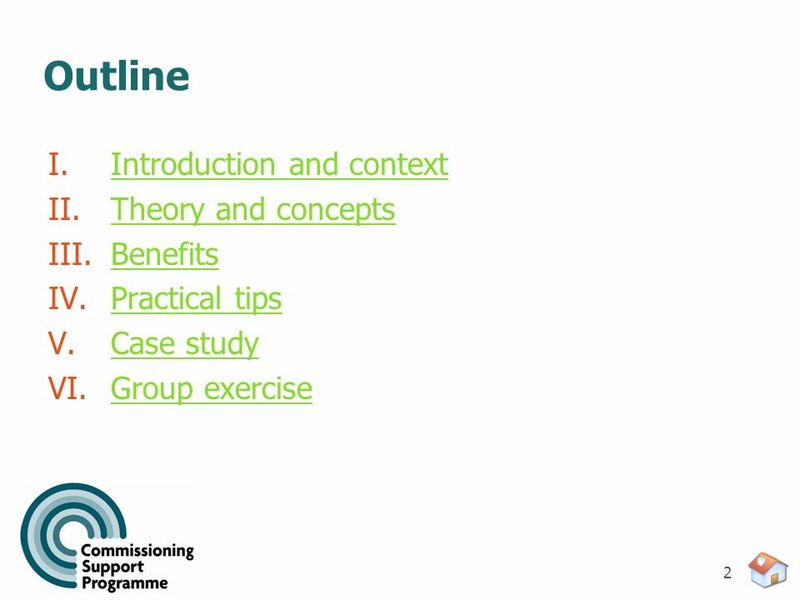 Commissioned from Pact Consultancy by the National Primary and Care Trust Development Programme August 2003 Whole System Commissioning Insights from beyond. 1 Developing Integrated Youth Support Services within Leicestershire Piloting new ways of working. Leicestershires Vision for short break transformation Leicestershire is committed to the transformation and expansion of short break services for disabled. Children & Young Peoples Service. Service Commissioning Martin Satchwell. 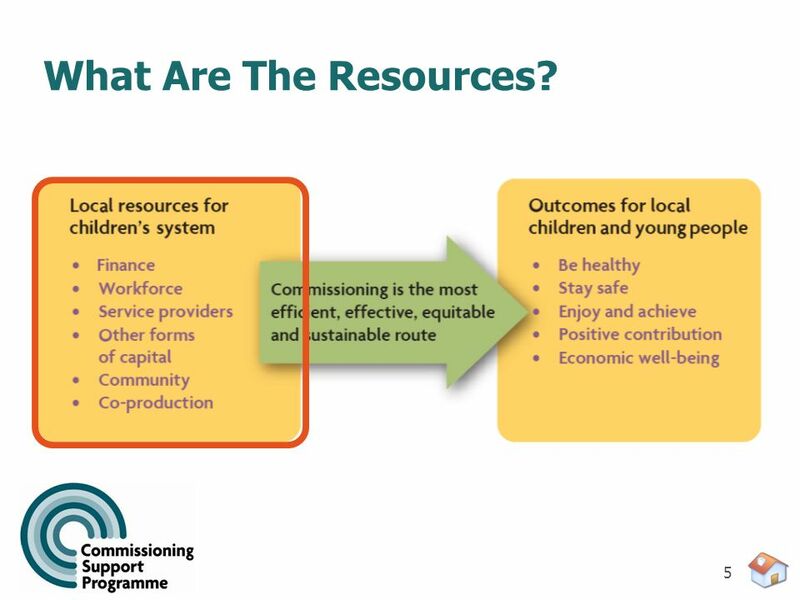 Rutland County Council Aiming High in Rutland Information for Providers. 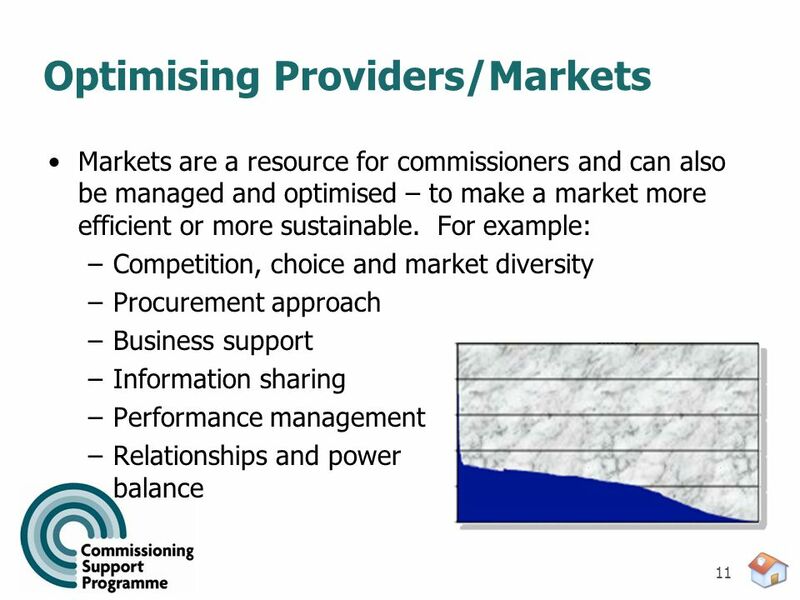 Key messages from the National Market Development Forum and Care Provider Alliance Personalisation Summit, 11 th September 2013. 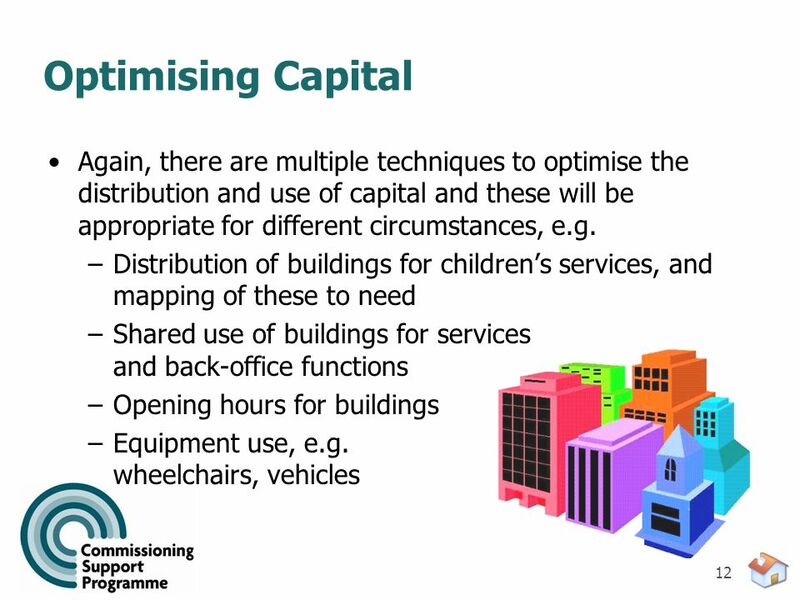 The development of the social capital framework: progress so far. South East Personalisation IT Workshop 11 th June 2010 Working in partnership with Improvement and Efficiency South East. © The Treasury 1 Better Business Cases “Investing for change” Overview. 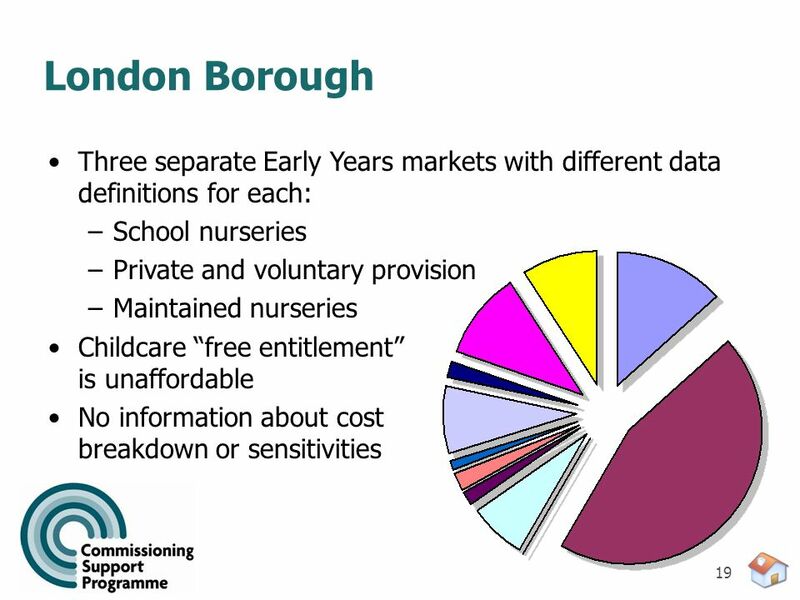 Statutory changes to the Free Entitlement to 3 & 4 year olds. 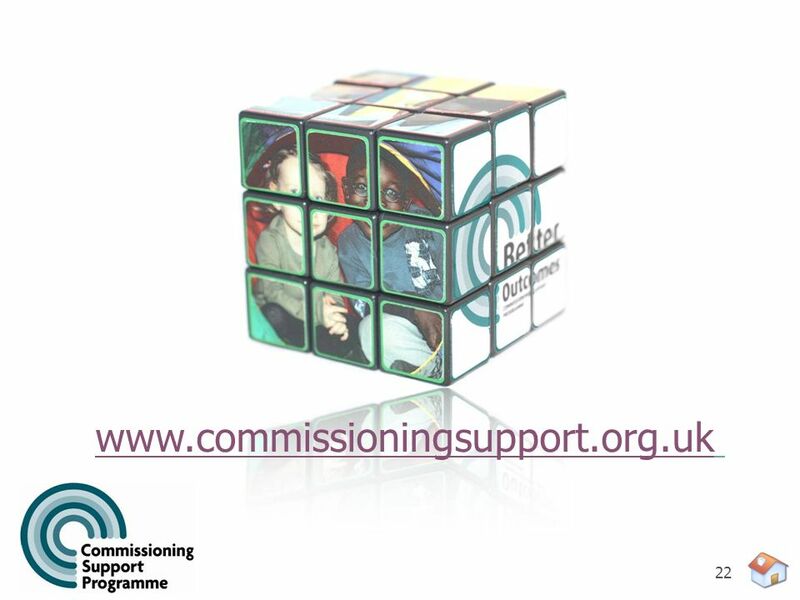 Engaging with changing commissioning. How do we engage? 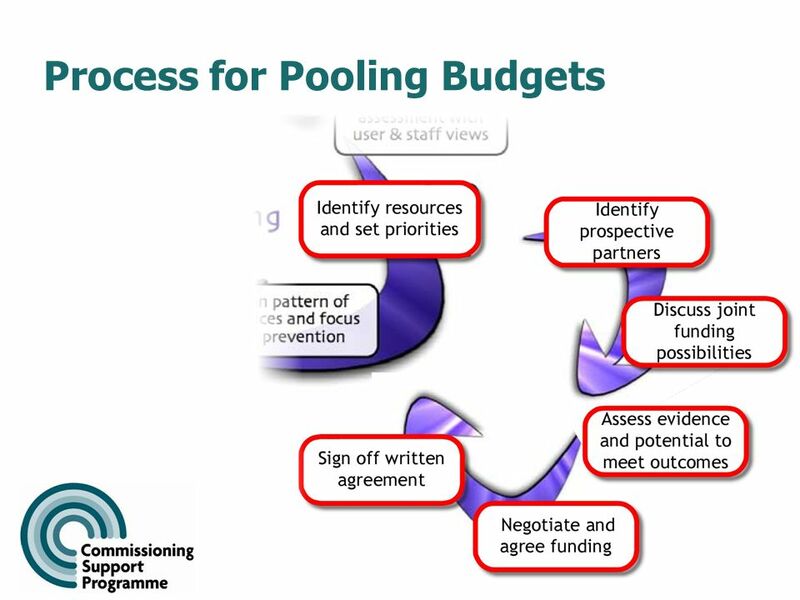 Significant changes to funding Increased desire from central and local government to commission. LEARNING & SKILLS COUNCIL – CONTEXT AND PRIORITIES 6 December 2007 Presented to South London Learning Partnership Main Board Meeting By Vic Grimes, Area. 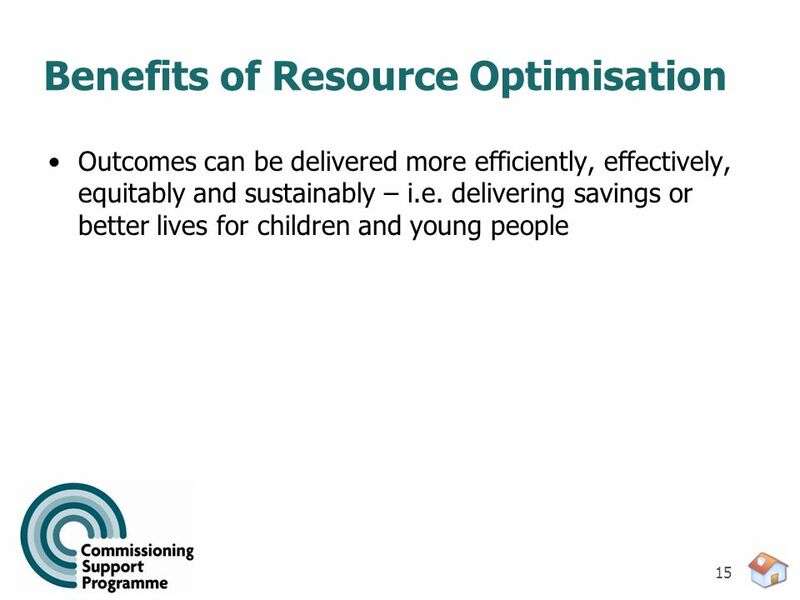 West London Children’s Efficiency Programme LAC & Care Leavers Overview. 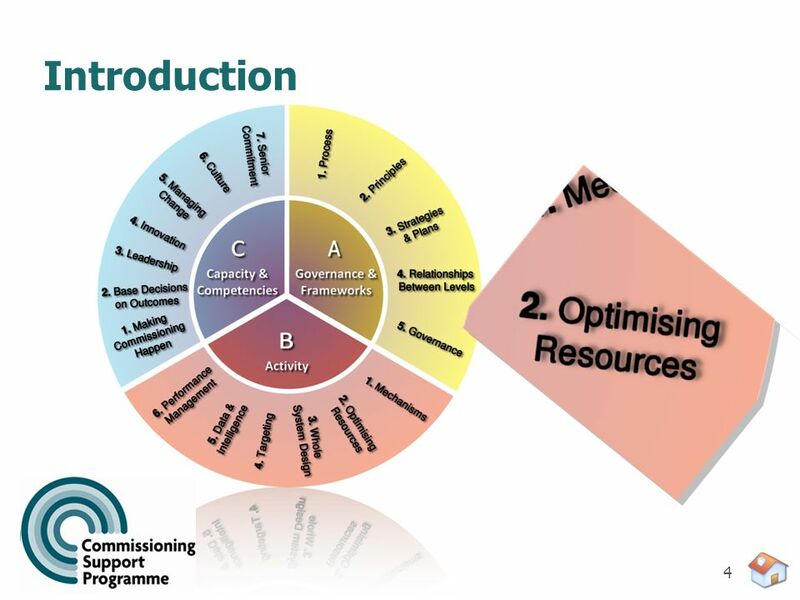 Framework for Growth and Change Land Supply Monitoring and Analysis Sequencing and Prioritization Financing & Funding Budgeting Service Delivery Integrated. 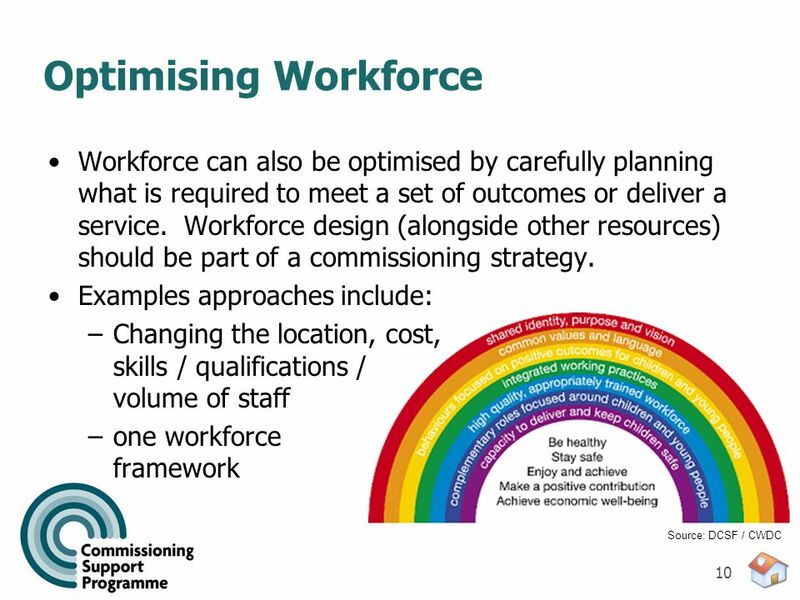 All-Age Integrated Commissioning Strategy (Health and Wellbeing) 2014 - 2020 CAS Voluntary Sector Forum workshop 17 July 2014.